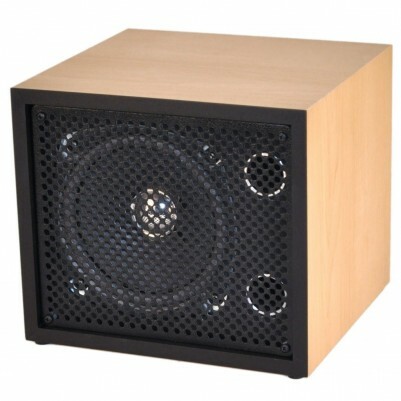 The 416 is our smallest loudspeaker but don't be fooled by its size it packs a punch and has a full range of clear sound. Volume and clarity: the 416 contains a full-range driver and the cabinet is accurately twin ported to ensure that it delivers both music and voice with clarity and, where needed, at surprisingly high volumes. Robust design: the bespoke metal grille offers maximum protection for the driver. Compatibility: designed to perfectly to be an ideal companion for many applications where a compact speaker solution is required. Note: The loudspeaker comes supplied with spring terminals to allow bare ends to be plugged straight into the 416 using spring terminals on the back.